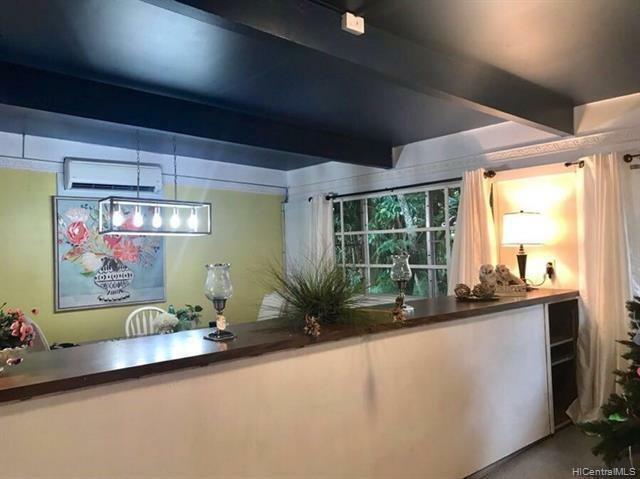 Excellent location, Storybook Charm, Private Tranquility at this corner lot in the cool Pupukea neighborhood of upcountry North Shore between Waimea and Sunset Beach. 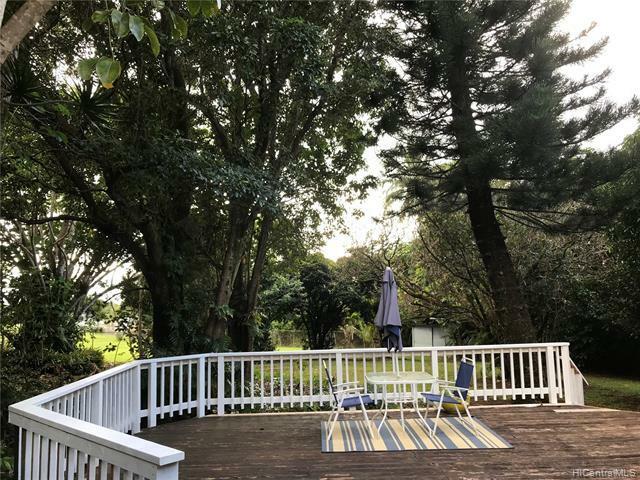 Convenient to horseback riding, hiking, beach and surf, as well as town amenities in Haleiwa, this home on 1.225 acres is one of the best values today. 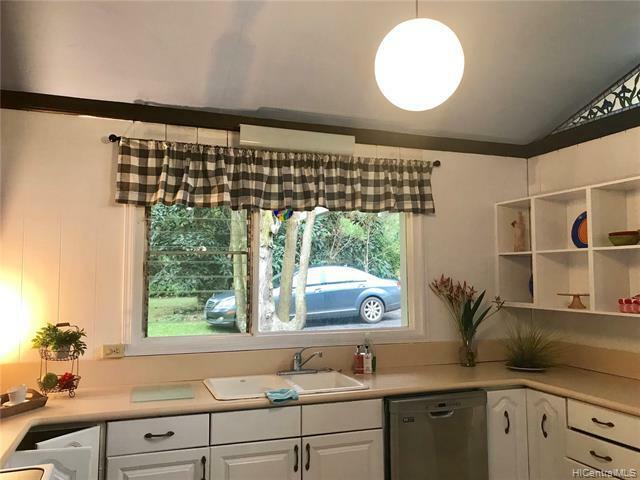 Hard to find, this single story ranch style farmhouse (with vaulted ceilings, lots of windows, skylights, and open deck) sits amongst trees and level lawn, and is reminiscent of old Hawaii. So many possibilities: Move right in or Renovate & expand with a possible second story or addition, Restore its fireplace, Build a tree house, Grow some herbs along with its botannical garden and fruit trees, or Make use of the stable. 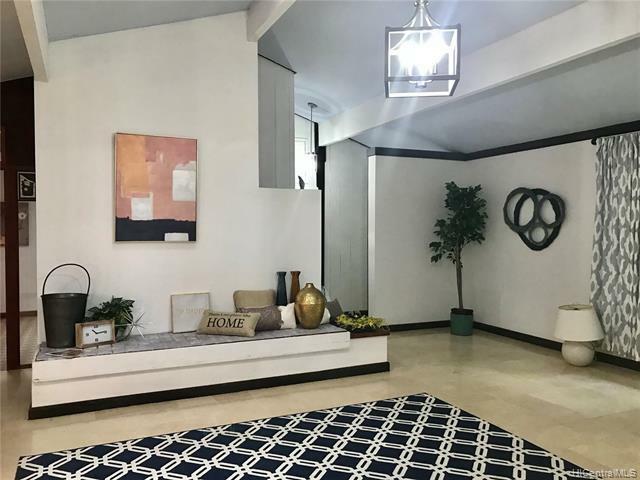 This home is such a wonderful investment.